WHISTLING BUOY LIMITED, the home of Whistling Buoy wines, is a family-owned boutique vineyard and winemaking company situated within the Crater of Lyttelton Harbour, Banks Peninsula. From two unique sites we grow, and produce limited quantities of terroir-specific wines of great individuality and character. We work to ensure that vines are managed and cropped under sustainable certification, guaranteeing the best quality fruit possible from each vineyard site. These are exceptional wines from two exceptional vineyards. Only from exceptional grapes can you get exceptional wines. With this foundation Dom Maxwell and the team in the winery turn the fruits of the season into a wine that is a true reflection of the unique and vibrant attributes and characters of a very special location. Even Romeo Bragato, on loan from the Victorian Government in 1895 to assess prospects for viticulture and wine making in New Zealand, identified and understood the special nature of Banks Peninsula as a unique cool climate grape growing region. And so we continue with, and extend that reputation. Whistling Buoy Vineyard contains two properties that were planted in 2000 and 2001 respectively. 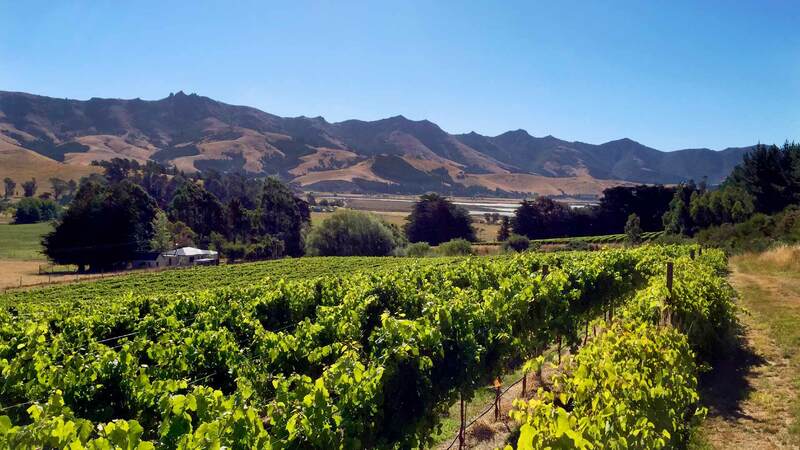 The original (half acre) viticulture site located in Charteris Bay, Lyttelton Harbour and the Kokolo Vineyard situated at the head of Lyttelton Harbour. All our premium single vineyard wines are labelled “WHISTLING BUOY”. The Pinots have been consistently winning wine awards and accolades. The most recent being the Gold medal for 2016 Kokolo Vineyard Pinot Noir in the New World Wine awards. Whistling Buoy is a family-owned Vineyard and Winery. Neil and Jill Pattinson are the owners and son, Chris, a viticulturist and oenologist. The Pattinsons’ cultural perspective on vineyard management is for it to be totally sustainable. On the southern flanks of Lyttelton harbour on a north facing, sun drenched slope, protected from the cool sea breeze lies the home vineyard site. The second vineyard (Kokolo) is situated at the head of the Lyttelton harbour crater. All our premium single vineyard wines are labelled “WHISTLING BUOY” after the marker Buoy between Adderley and Godley Heads which was used to aid navigation into the Port of Lyttelton.